Welcome to the December ue4jam Submission thread! After posting here, PM me! Last edited by PSYCHO_ROBOT; 12-10-2016, 04:55 PM. Two sound effects are cc0 from freesound.org, and the other I made. This is also my submission for Ludum Dare 37, whose theme is "One Room". Move around to collect snow, shoot your opponent and be the first to shrink your opponent 3 times. Last edited by AzzaMat; 12-10-2016, 05:47 PM. Just put the right ingredients on the right table to produce the needed items. Simple as that! You need to produce Gifts for the christmas night, but the machines aren’t as fit as they used to be. Be sure to repair them, before the damage spreads to nearby tables and machines; Otherwise it will end in a disaster. This is a co-op Highscore-Game! Points are being collected by producing the shown item. Don’t forget to wrap up the Gifts before sending them to the sled! You can also get a friend to help you out. Tell us your Score! Last edited by Marki217q; 12-11-2016, 04:06 PM. Everything made by me during the jam. And this time, I made an RTS about snowball wars. Has pretty standard controls, I wrote most of them down in the included "Help" menu option. Should be pretty clear. There's 5 different missions or game modes. There's also info about those in the same help menu. * Mouse wheel zooms in and out. * You can set waypoints for buildings. * You got access to control groups. 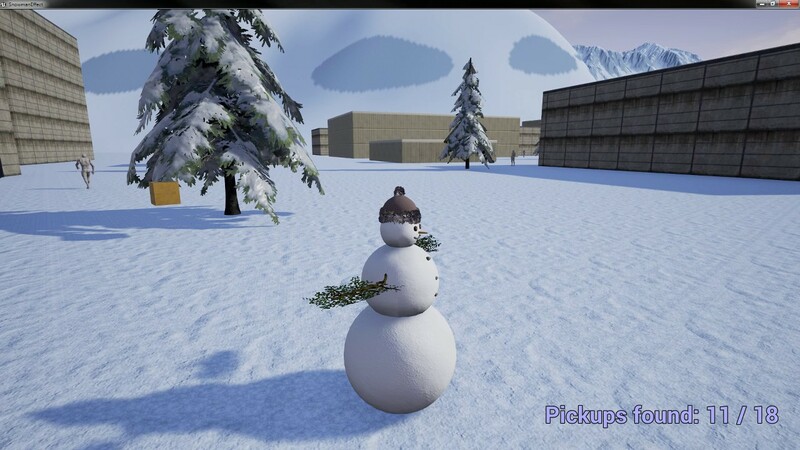 * Snow Mines can only be built on piles of snow. * Units attack everything in range, you lack direct control over who they target. * Workers throw weak snowballs. * Using "passive mode" (green peace sign) will let you flee from fights. * You might be able to shimmy through the trees to get into places you're not supposed to, there's nothing outside of them. * You win by destroying all enemy buildings (except walls). * You lose by losing all your buildings (except walls). * The yellow in the Snow Mines is from mining lights, not urine. * The characters are extremely short sighted and have short stubby arms, so they can't throw the balls very far. Edit: Saw my game being played and some people pointed out that I totally forgot to mention I used my options widget from before. So that's the only thing I didn't make during this jam. Even re-did the same kind of basic fir tree model for the third time (those kind of trees just work so well in jams). Last edited by Bohrium; 12-12-2016, 06:19 AM. Reason: Made up excuses. ; Added bit after "Edit:"
Why does the Epic Jam always have to be held at the same time with the Ludum Dare? It is a combined Ludum Dare / Epic Jam entry made in 48 hours (LD37 begins more than a day later). LD37 theme is "One Room". When I've started I thought that the game fits both themes equally, but right now I think that it might be closer to the "One Room" actually. 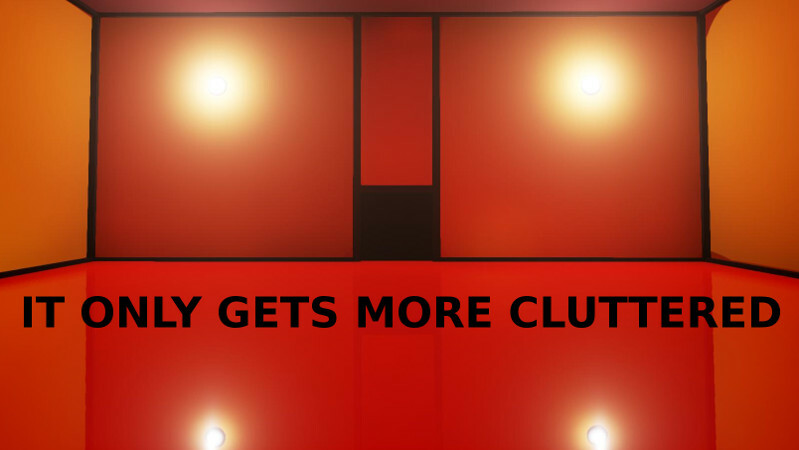 It Only Gets More Cluttered is a puzzle platformer where the room gets more cluttered with walls and platforms as you move towards the level completion. Select the order in which platforms will appear in the beginning of each level, and then run around and collect glowing spheres to warp in selected layers. The exit will open once you've collected all spheres on a level. 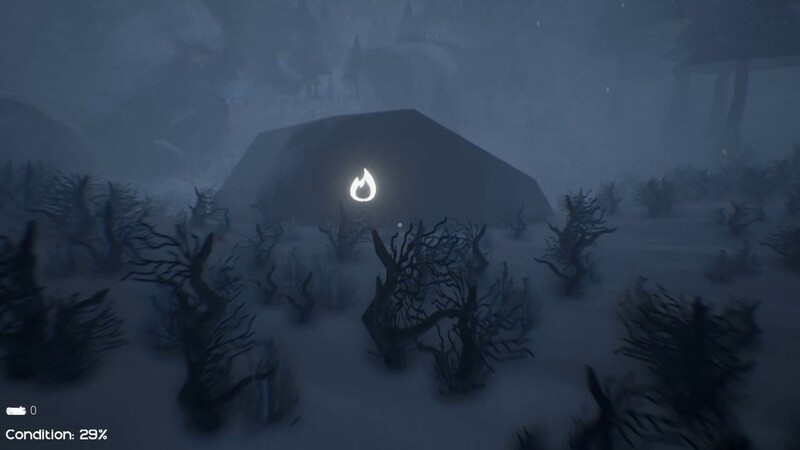 R or Escape to restart level. Last edited by mortus7; 12-11-2016, 04:20 PM. 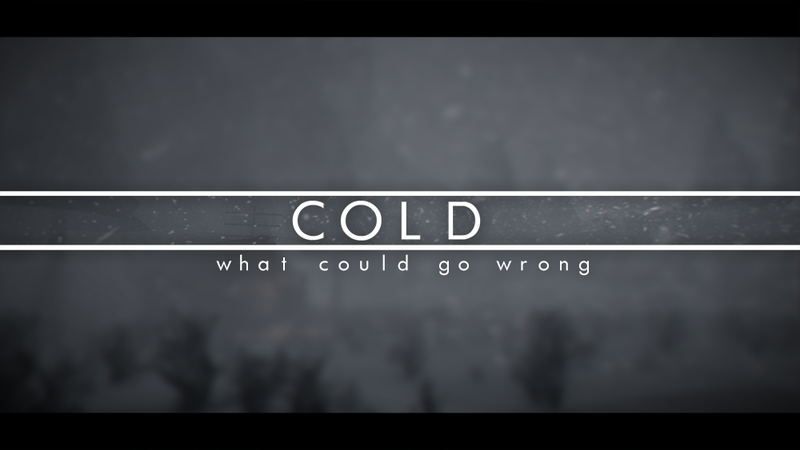 "Cold" is a game involving a series of events that are a little coincidence. Last edited by Derzo; 12-11-2016, 06:38 PM. Last edited by Amsanity; 12-11-2016, 05:22 PM. A little casual "runnergame" (/rollergame? 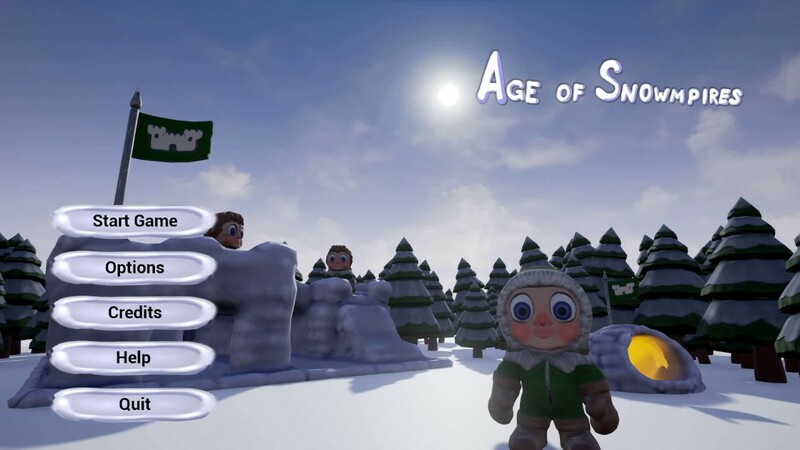 ), where you roll down a hill as a snowball, collecting powerups on your way and dodging obstacles. I aimed for a visually interesting, but still very simple look, as I worked only alone and just had one free day this weekend. Last edited by ted_o_brian; 12-21-2016, 10:09 AM. Description This is a stealth game. You are a SnowMan. Your goal is to collect Golden Boxes. You win when you collect them all. Hint: they are all in the same kind of places. UE Mannequins are patrolling the area. They are your enemies. If a mannequin sees you it's game over. Fortunately, they are a little blind and very dumb. If you freeze (F) when they approach they won't notice you. Controls: WASD+mouse for movement, Space for jump, F to freeze. Good luck! Used assets and software Unreal landscape examples for trees, music and materials; MovementAnimSetPro; WorldMachine; TurboSquid for Snowman's hat. PS: Just discovered that you can fly. It wasn't planed. You can go higher places and have some nice views (yes, the map is uselessly large). Play with sound for the full experience. Despite starting the jam a day late I stuck to the above plan and am pretty happy with the results. I also decided to play around with cable components and simulated physics on bones, as will be obvious from the game. Last edited by Valkrysa; 12-11-2016, 09:43 PM. 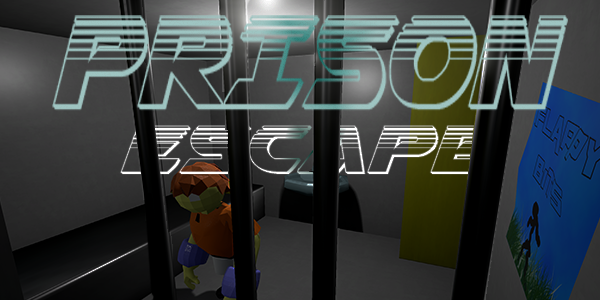 You play as a prisoner that is being forced to test a Shapeshifting product for the company that runs it, but your endgoal is to escape..
after watching VictorBurgos stream my game i realized i did a bad job explaining some things ingame. So Touching Boxs/anything Red/Blue changes their size. and the endlevel it is not clear that your goal is escaping through the window. the level with the credits is a freeplay/joking level and has no end but you can change your size in that level by pressing any of the numbers that appear on the walls if you want to play around. very simple look, as I worked alone. This is my 3rd UE4Jam. with this jam my goal was to dive into the parts of Unreal I had not really touched. I think I Achieved that I learned a bit about physics/destructibles systems and about my main goal of the audio systems. 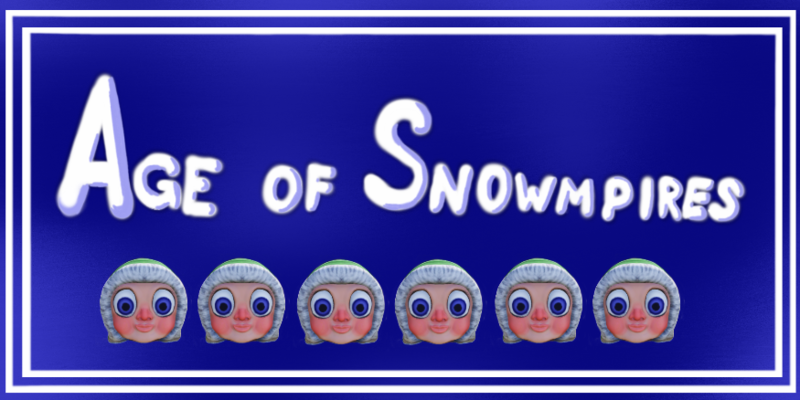 I knew everyone was going to do something with snow/snowmen so I avoided that and my theme connection has more to do with the definition of Snowball Effect. snowball effect is a process that starts from an initial state of small significance and builds upon itself, becoming larger.